A dark 2D platformer with RPG elements, developed by the team of Ska Studios, known for its original and equally brutal productions The Dishwasher and Charlie Murder. 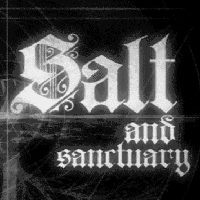 Salt and Sanctuary for PC, PS4 and PSV is a two dimensional platformer featuring many strictly RPG elements, dark atmosphere, and high level of difficulty. The title was developed by the team of Ska studio, creators of such productions as Charlie Murder and the The Dishwasher series. During the game we play the part of a sailor shipwrecked on a mysterious island. This peril, however, despite its appearances, turns out to be godsend for him, as the world is engulfed in global a war that decimates mankind. The mysterious piece of land provides him with an asylum that gives hope for the reconstruction of a new, more peaceful world in the future. In the discussed production, which was released for PC, PS4 and PSV, the players will be able to develop their protagonist, employ many types of offensive measures, fight a lot of powerful and diverse bosses, and a use a wide array of weaponry, including, among others, one handed swords, staffs, throwing knives, shields, bows, crossbows, and two handed weapons. The last one increase damage inflicted during fights while dramatically reducing our mobility. The game features also magic, a feature typical of the RPG genre, although in this case the weight of the gear we're carrying will significantly reduce the fighter’s stamina. So if we decide to overburden our sailor, it will negatively affect his movement and rolling speed as well as health regeneration. During the game, in addition to side scrolling fights with various antagonists, players collect gold and salt, which enables them to develop hero’s skills while visiting sanctuaries - a kind of enclaves, where people gather in order to avoid dangers swarming in the outside world. Importantly, we lose our stock of this substance when we die. Game features many brutal moments, dynamic gameplay, and sometimes extremely overwhelming atmosphere. All of this was emphasized by a gloomy soundtrack and hand-drawn, very subdued visuals, certainly appealing to fans of the genre.